All Core Inspection Group, LLC inspections strictly adhere to American Society of Home Inspectors (ASHI) standards and provide reports that are easy-to-read and further detailed than the rest. That means you discover everything you should know about the home you are purchasing. Our Inspection Service covers Interiors and Exteriors of the property where we specifically inspect all Mechanical and Structural Systems, and Appliances. Interiors include – Floors, Bath Components, Cabinets, Ceilings, Doors, Fireplaces, Foundation, Appliances, Outlets, Stairs, Walls, Water Pressure (Plumbing), Windows, Heating & Air Conditioning, and Wiring (Electrical). Exteriors Include – Patios, Porches, Sidewalks, Siding, Trim, Windows, Decks, Drainage, Garage, Balconies, Driveway, and Roofing System. Convenient Hours, Live Help – For busy professionals, we’re open until 7pm Mon – Fri; Sat 10am – 3pm. Our 24/7 call center is available to take your call outside of those business hours! 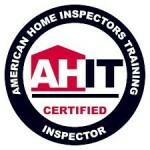 Highly Trained & Certified Professionals – We are members of the National Association of Home Inspectors (NAHI) and the AHIT – American Home Inspector Training Institute; and all of our inspectors are Certified Real Estate Inspectors (CRI). $200.00 – Our clients receive $200.00 in coupons towards Handyman Services. This can be used for alarm installation, hanging TV’s, appliance connections , etc!! 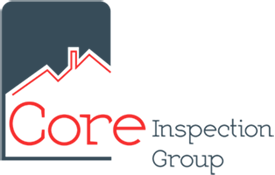 Advanced Reporting – Our report of inspection findings is more comprehensive and helpful than most other inspection companies; and we review all findings with you so you gain a clear understanding of the condition of your home. Complete Set of Services Under One Roof – Along with the home inspection, we also provide Radon Measurements, Mold Testing, Termite, and Lead Based Paint Testing to provide total confidence in your purchase. Gain Total Confidence in Your Home Purchase!